(2010) D’Licious Dishes donated a $30 gift certificate towards making your life easier on those hectic days with Fabulous Food to Go! Stop in at their market on 7th Ave and Missouri for something ready-to-eat, ready-to-reheat or ready-to-cook along with great salads, side dishes and desserts! 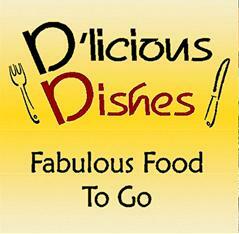 If your doctor recommends the HCG Diet, D’Licious Dishes can provide the meals. All proteins are 3.5 oz precooked weight, cooked with cooking spray on the pan where necessary, no added oil or butter. Sauces are on the “free list”. Meals include no carbohydrate-rich vegetables, no rice, potatoes, breads, or pastas. Vegetables range from 2-4 oz. Cheese and mayo are fat free. (2010) In alignment with 2010’s theme of Art & Soul, a donated set of four framed color woodcuts from the “Divine Comedy” (A Canto) illustration works by Salvador Dali truly delivers both art and soul. Dante Alighieri’s “Divine Comedy” explores the journey of the soul of humanity from the deepest circles of Inferno, up the mountain of Purgatory, and into heavenly Paradise. To further the connection between Art & Soul, throughout November 2010 All Saints’ Adult Education Discussions will feature “Exploring Dante’s Inferno” every Sunday morning at 9 AM in Manning Hall. Dali himself thought this illustration suite to be one of the most important of his career and it is considered by many today to be his most incredible and notable work. All pieces have Certificate of Authenticity from Macy’s O’Farrell Street Gallery in San Francisco. (2011) Lip Smacking Canine Confections! Diane Peters graciously donated two baskets — one for the little fella and another one for the bigger pooch in your life. 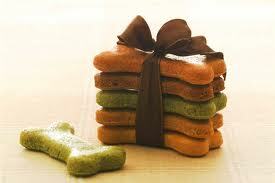 Spoil “man’s best friend” with this yummy assortment of home-made treats for dogs. A perfect stocking-stuffer for the holidays. Sorry, for dogs only! (2010) Duke Photography donated a complete Family Portrait Package with sitting. There’s no family quite like yours. That’s why your family portrait will be a unique expression of love that grows more precious year after year. Duke Photography is the place for portraits that capture your family’s personality and affection.